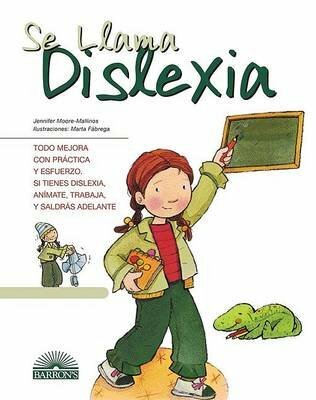 Here is a book for younger children who live in households where the first language is Spanish. It's one of several titles that take a child's point of view, especially if the child suffers from some physical challenge or lack self-confidence in going about everyday activities. These attractively illustrated picture storybooks encourage kids never to be afraid of a challenge. Following each story are four pages of suggested activities that relate to the book's theme. A final two-page section offers advice to parents. The child in this story knows the alphabet, but she sometimes has trouble putting all the letters together to read words. No matter how hard she tries, she often mixes up the letters or writes them backwards. She's unhappy until her teacher explains that she has dyslexia, and that with special help she will overcome her reading problem. The story is written entirely in Spanish.